•Voltage & Current are the True RMS value. 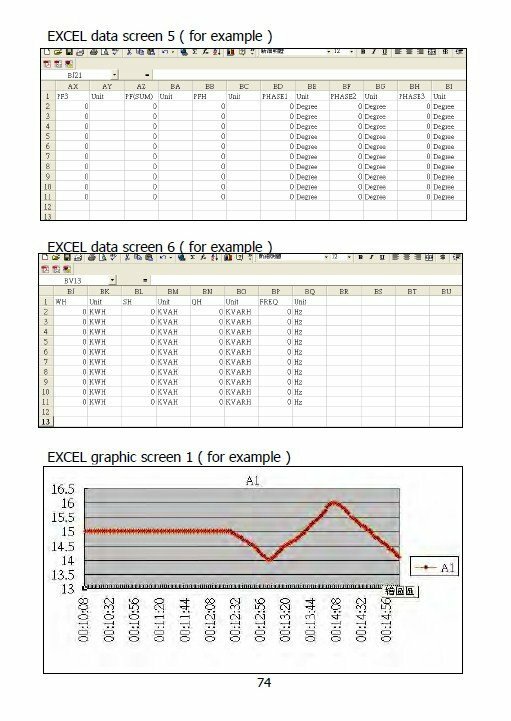 •True Power ( KW、MW、GW ) measurement. 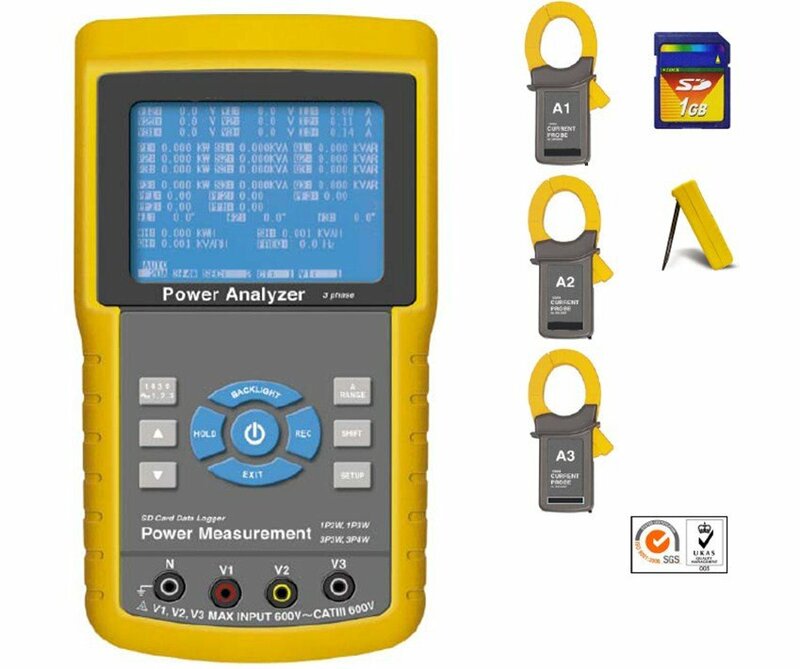 •Apparent Power ( KVA、MVA、GVA ) measurement. 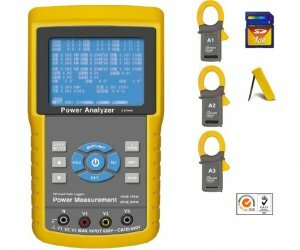 •Reactive Power ( KVAR MVAR、GVAR) measurement. •Power Factor( PF )、Phase Angle( Φ ). 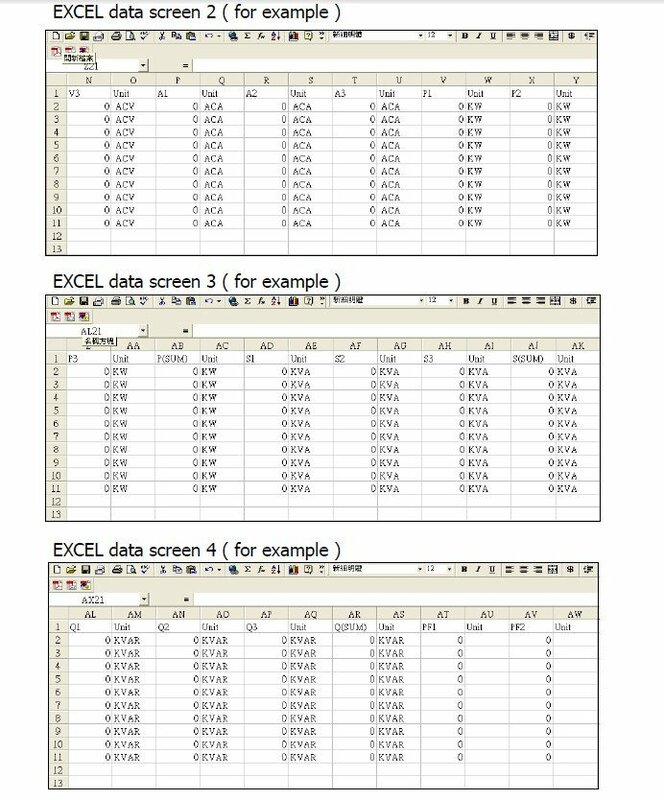 •Current measurement range: 0.2A to 1200 ACA. •Programmable CT ratio (1 to 600) and PT ratio (1 to 1000). •ACV input impedance is 10 Mega ohms. •Built-in clock and Calendar, real time data record with SD memory card , sampling time set from 2 to 7200 seconds. 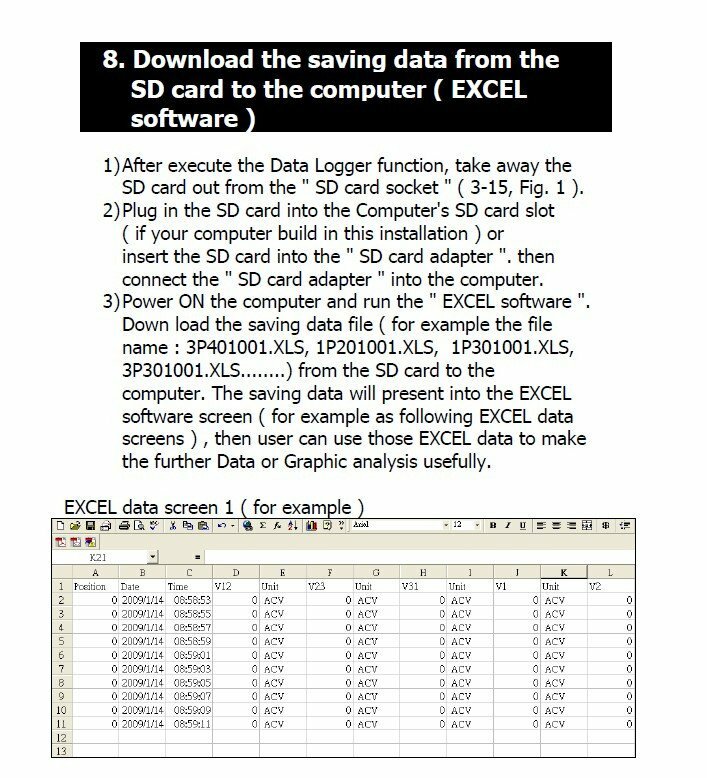 Just slot in the SD card into the computer, it can down load the all the measured value with the time information ( year/month/data/hour/mimute/second ) to the Excel directly, then user can make the further data analysis by themselves.